Rafts and supports are added to 3D models in the 3DPrinterOS cloud slicing software during the process of creating preparing your 3D model for printing. 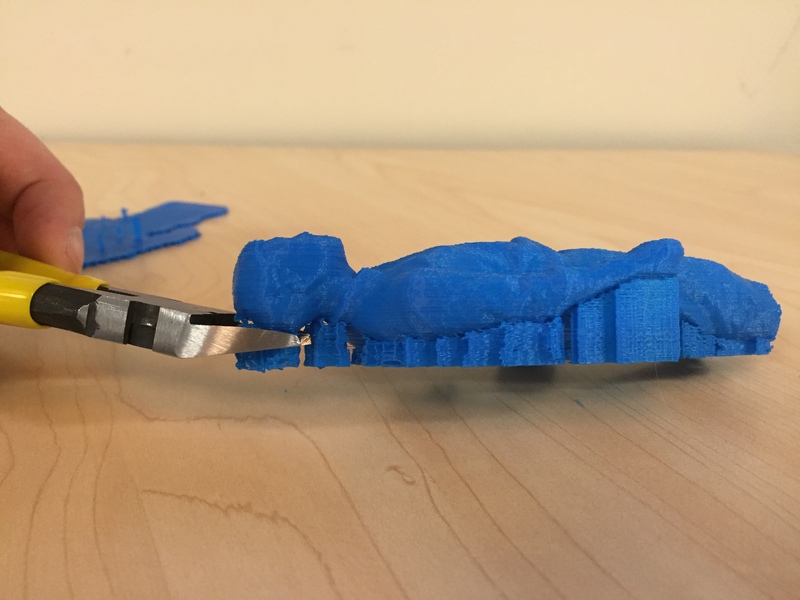 The Maker Commons recommends not using rafts with the Dremel 3D45 printers because they are very difficult to remove and the heated build plate and glue used make them less necessary. Supports are used to provide additional stability and structure for the model while it is being printed. You should remove the supports after you have picked up your print. Some supports can be removed by hand, however some might require additional tools. 3D printing finishing tools, like in the picture below, are available at the University Park Pattee/Paterno Libraries Commons Services desk. 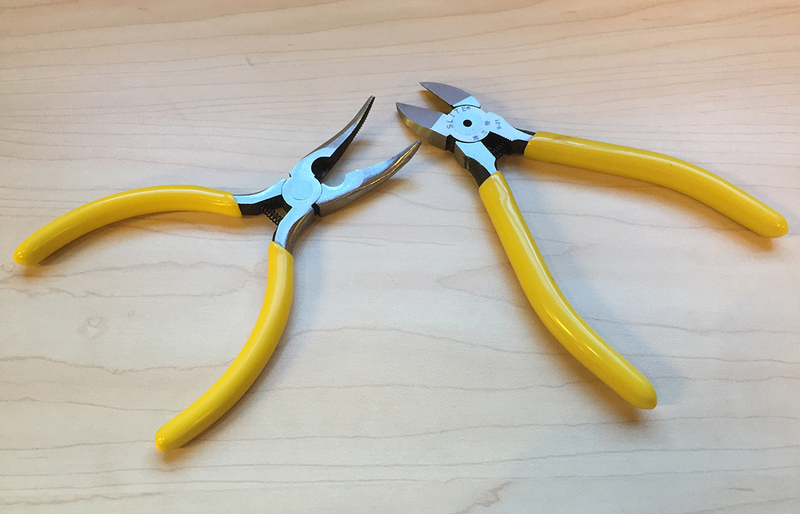 You can borrow these tools for a short time in order to finish your print. In the Invention Studio, a powered heated finishing tool can be used to smooth a print or remove supports. The supports fill in the negative space between the build plate and your 3D model. You may be able to break off some supports with your hands, but some may require a tool. It’s also a good idea to use a finishing tool if there are any delicate parts of the 3D print. 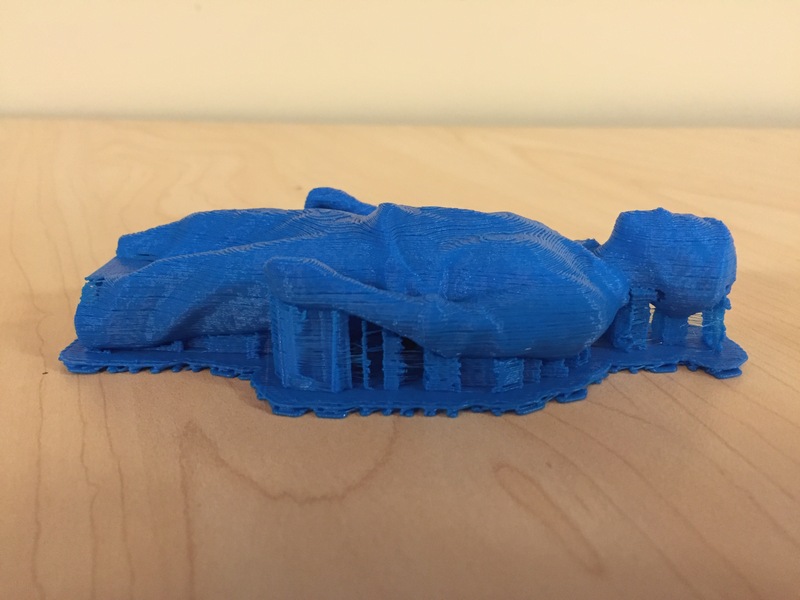 It’s easy to accidentally break off a piece of the print while removing supports. This can be fixed with glue, if need be. It should go without saying, but as a word of warning, please be careful to not accidentally cut yourself with the finishing tools as you are removing supports. Please deposit any unwanted supports or other 3D printed material in the trash. If you have questions about using the finishing tools to remove rafts and supports, please contact the Maker Commons at makercommons@psu.edu. We are unfortunately not able to remove rafts and supports for everyone.